The West Indies will not only be looking to register their first test win at the Arnos Vale venue when they meet Bangladesh from today Friday in the two-test Dhaka Bank series, but they will be seeking to redeem themselves from a series loss earlier this year at the hands of New Zealand. The West Indies, ranked eighth on the ICCâs rankings, lost 1-2 to New Zealand which are seventh on the ten team table, and extended their series defeats against teams ranked above them. Bangladesh are the tenth ranked team on the ICC test rankings. Additionally, the last time both the West Indies and Bangladesh met at the Arnos Vale venue, the encounter ended in a historic triumph for the visitors. Staged July 9-13, 2009, Bangladesh won by 95 runs, over a then depleted West Indies outing, because of standoff between the West Indies Cricket Board (WICB) and the West Indies Playersâ Association(WIPA). This weekendâs match is the third time the venue is hosting a test match. Arnos Vale hosted its first ever test match June 20 to 24, 1997, when Sri Lanka visited the Caribbean. That test though was severely affected by rain, but allowed Brian Lara to ink his name in the venueâs history as he recorded the first test century there – 115. Hopes are that Vincentians would turn to the Arnos Vale Playing Field from today and more so this weekend. The WICB in marketing the match, has offered a buy one ticket get one system, along with free entry for people over the age of 70 or children under the age of twelve, who are accompanied by an adult. 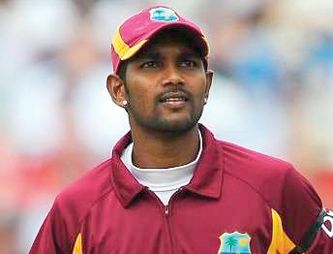 The West Indies have assembled a 13-member team, headed by recently installed captain Denesh Ramdin, who will be seeking his first series win as well. He saw his initiation to the job ending in a series loss to New Zealand. Also included in the team are Sulieman Benn, Jermaine Blackwood, Darren Bravo, Kraigg Brathwaite, Shivnarine Chanderpaul, Kirk Edwards, Shannon Gabriel, Chris Gayle, Jason Holder, Kemar Roach, Shane Shillingford and Jerome Taylor. This team represent the first task by new selection panel whose convener is Clive Lloyd. However, Lloyd and company were in for criticism from the West Indies One Day International captain Dwayne Bravo, who said that the selectors âgot it wrongâ and that his non-selection has left him disheartened and disappointed.